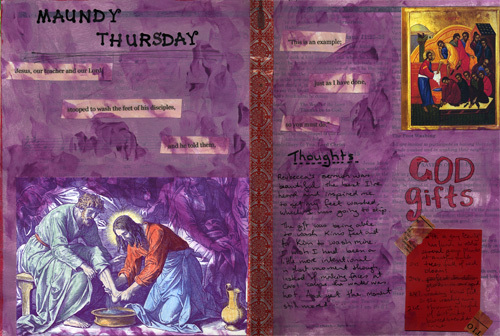 So here, finally, are the remaining pages of my Holy Week journal. You can find the previous pages here. I have bigger and better things planned for next year, but this does work as a record of "what happened". Good Friday. Painted the background red, and then black gesso over the top of that, which I then scratched out with a credit card to leave "scars". Pretty dramatic, huh. 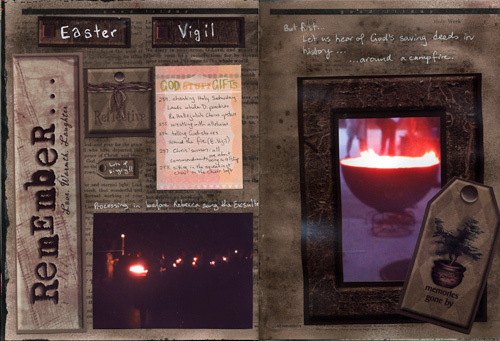 Holy Saturday: Easter Vigil: with this one I pulled out a scrapbooking sheet that I'd had for about ever and had never used and put it to work here. The background is "Leather" Glimmer Mist. So it sparkles a bit in real life. Easter Day: I get a kick out of the heading cardstock letters -- they're meant for Christmas but I found them perfectly Easter-y. Went a bit nuts with stickers here, actually. And so there you have it. 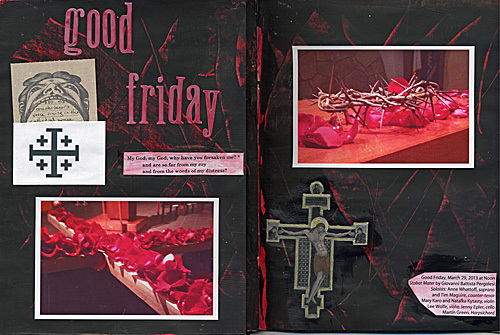 A short art journal on Holy Week completed. 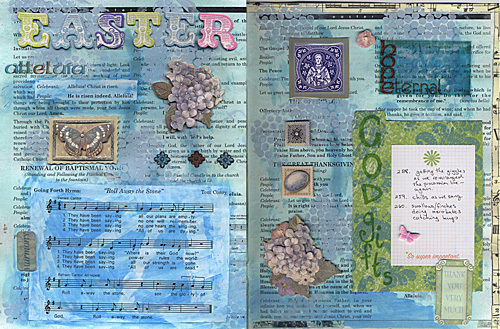 How did you record Holy Week and Easter?